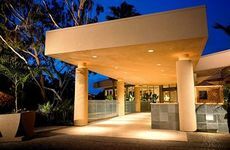 Find Sheraton La Jolla Hotel deals, discounts and special offers. This hotel offers a fitness center, a pool with waterfall and koi fishpond, and nearby golf courses. Hotel features luxurious oversized guestrooms, fitness room, tennis court and casual dining options. Featuring relaxing Feng-Shui design, Hotel Parisi offers guests in-room spa treatments and energizing fitness room. Hyatt Regency has 419 recently remodeled guest rooms, olympic-style pool, access to the Sporting Club and Spa. Directly on the beach, the La Jolla Shores has garden, coastal or oceanfront views & balconies; oceanfront dining. La Valencia has Mediterranean-revival décor with courtyards, hand painted murals and 115 rooms, on the beach. Marriott has 360 smoke-free hotel rooms, refreshing pool, on-site fitness center and bistro. This recently renovated 93 room non-smoking hotel features a garden pool and on-site restaurant and bar. This small, non-smoking European Inn, has 23 rooms with cable and air conditioning. The oceanfront resort features a private beach, upscale spa, and extensive recreational activities. 108-room hotel with ocean-view rooms, heated pool and hot tub, located minutes from downtown San Diego. This European style hotel is located steps away from golf courses and the University of California San Diego. There are 25 restaurants and two movie theaters located withing walking distance from the hotel.